Lauren Gunderson's story follows two students who bond over a poetry project involving Walt Whitman’s "Leaves of Grass," share secrets, and uncover a mystery. 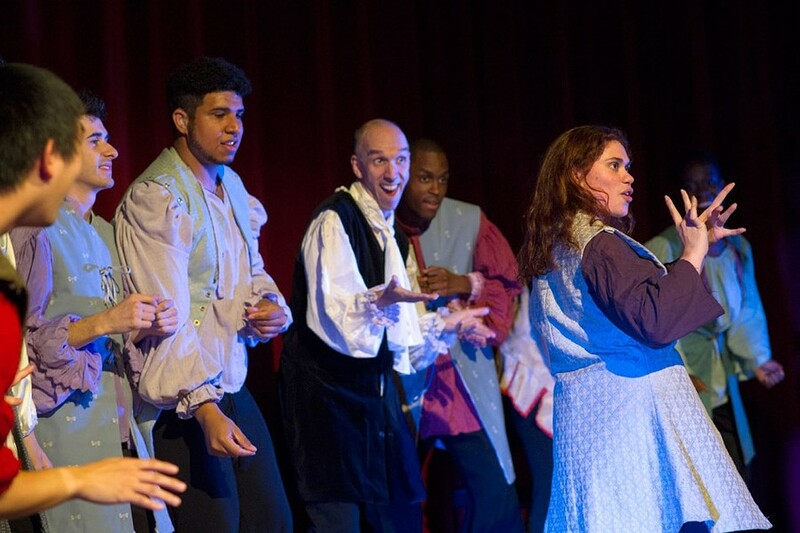 Created collaboratively by the cast members, the performance looks into the lives of both contemporary and historical deaf people, through a blend of ASL performance styles including poetry, narrative personal experiences, creative storytelling, historical reenactments, and dramatic monologues and dialogues. Things go badly for Tony Wendice when the murderer he's hired gets murdered and his intended victim lives. Add a secret lover, an inspector from Scotland Yard, and loads of plot twists, and the play becomes a game of cat-and-mouse to trap Tony. Set in 1934 Berlin on the eve of the Nazi incursion, the play follows Max and his lover Rudy through nightmarish persecution. The pair are recovering from a wild night with a German stormtrooper when two soldiers break into their apartment and haul them off to a death camp. Martin Sherman's 1979 play was adapted as an MGM film in 1997. Recommended for ages 12 and older. A multi-arts performance conceived and directed by Thomas Warfield that incorporates live music and choreography created from augmented reality and other technology. Tickets are available through rittickets.com, by phone at 475-4121 or at the door two hours prior to curtain time. For more information, visit NTID's site.